Yesterday, the Orange County Transportation Authority (OCTA) Executive Committee discussed the state lobbying contract that the agency has with Sloat, Higgins Jensen and Associates (SHJA) because of recent FPPC violations by the firm. If you are unfamiliar with the FPPC violations against Kevin Sloat, who is the principal at SHJA, this article will help fill you in. Sloat was fined a record $133,500 by the FPPC for hosting numerous political fundraisers that counted as “prohibited campaign contributions, and arranging and giving gifts to California lawmakers.” Some of the lawmakers warned by the FPPC for holding events at Sloat’s house include Governor Jerry Brown, Senator Lou Correa (SD-34), Senator Bob Huff (SD-29), and former Assemblyman and current SD-34 candidate Jose Solorio. OCTA has contracted with SHJA since 2002 for state lobbying and consulting services. Unlike the Transportation Corridor Agencies’ lobbying contracts, this particular contract was approved by the full OCTA board and extended on multiple occasions by the full Board. According to the staff report, SHJA’s services to OCTA include “representation with the Legislature, Governor’s Office, various state departments, agencies, boards, committees, commissions, and staff; advising on state legislation, proposed regulations, and state budget proposals which could have an impact on OCTA; assisting with the preparation of and advocating for OCTA’s legislative program; reporting on state transportation and related developments of importance to OCTA; and updating the Board as specified. SHJA also provides a monthly verbal update on its Sacramento advocacy to the Legislative and Communications Committee.” OCTA’s contract with SHJA lists Kevin Sloat as the contract manager, with several lobbyists that work for SHJA as the legislative advocates. During their presentation, OCTA staff made it clear that there were many initiatives OCTA was trying to accomplish, and that an interruption in service, i.e. a new lobbyist, may disrupt those initiatives. The staff recommendation was to issue an RFP for the state lobbying services, with a new condition that any FPPC issues be disclosed in the proposals. Supervisor Todd Spitzer, referencing his time in the state legislature, stated that Sloat is well-respected in the capitol but that this was not a one-time violation. Spitzer noted that it was likely that SHJA would lose credibility as a result of this finding, and that it could have a negative impact on OCTA. Irvine Mayor Pro Tem Jeffrey Lalloway, who is also the OCTA Vice-Chairman, noted that the situation is similar to the recent one involving Matt Cunningham. Cunningham held two contracts with OCTA, which were suspended after some poorly thought out photos of a teddy bear were published on the Anaheim Blog page that received national coverage. Lalloway attempted to connect the Sloat and Cunningham incident, and thought if one deserved to be suspended (Cunningham), that the other (Sloat) should be suspended as well to preserve the integrity of the agency. Michael Hennessey, who serves as a public member on the Board, stated that the comparing the Cunningham and Sloat situations was “weighing morality against need.” He stated that “if Cunningham is bigoted toward Latinos, he’s the strangest bigot I’ve met since he is married to a Latina, his children are half Latina, and if you go to a Christmas party at his house, it is largely Latinos.” He went on to note that if Cunningham’s services were absolutely critical (like OCTA staff was attempting to convey with Sloat), his contracts would have not have been suspended as quickly, and the matter would have been brought to the Board, similar to the current situation with Sloat. After some other comments by the committee members, Supervisor Spitzer motioned to remove Kevin Sloat’s name from the contract entirely, and replace it with OCTA’s primary legislative advocate Moira Topp as the contract manager. Topp is still an employee of SHJA, but the committee felt that the perception of corruption lays with Sloat as opposed to the rest of the firm. Additionally, the motion included a provision that Sloat could not do any kind of advocacy on behalf of OCTA at any level. Finally, the motion called for an expedited RFP for the lobbying services, to be brought to the Board in April. The motion eventually passed with Lalloway voting no. The full OCTA Board will vote on this issue next Monday, March 10th. We’re here live at OCGOP Central Committee for Early Endorsements for the Primary Election. (7:13 PM): A slew of Youth Associates have been sworn in. (7:18 PM): Sergio Picchio, former Field Representative to Assemblyman Don Wagner, is receiving the Donald Award for Legislative Staffer of the Year on the occasion of his retirement. (7:26 PM): Minutes are approved. (7:27 PM): Announcement of the passing of Jack Christiana. (7:29 PM): The candidates and elected officials present are introducing themselves: Lucille Kring, Ceci Iglesias, Michelle Steel, Diane Harkey, Baron Night, David Shawver, Robert Hammond, Scott Voigts, Tony Beall, Mike Munzing, Robert Ming, Jim Righeimer, Steven Choi, Phillip Chen, Helen Hayden, Paul Glaab, Tom Tait, Julia Ross, Michael Glen, Tim Shaw, Brett Barbre, Travis Allen, Deborah Pauly, Mark Wyland, Jeff Lalloway, Fred Whitaker, Michael Gates, Steve Nagel, Mark McCurdy, Janet Nguyen, Matt Harper, Lee Ramos, Hugh Nguyen, Dean Grose, Lynn Schott, Jeff Ferguson, Allan Mansoor, Kevin Haskin, Shari Freidenrich, Keith Curry, Ray Grangoff, Eric Woolery, Carlos Vazquez, Claude Parrish, Anna Bryson, Tony Rackauckas, Long Pham, Emanuel Patrascu, Don Wagner, and Young Kim. (7:36 PM): OCGOP Chairman Scott Baugh speaks about the successful Republican effort in the San Diego Mayor’s race. He also speaks about Republican efforts to replace Irvine Councilman Larry Agran with Lynn Schott. (7:39 PM): Irvine Mayor Pro Tem Jeff Lalloway announces that Anaheim Mayor Tom Tait has been named one of the two 2013 OCGOP Local Elected Official of the Year (alongside Supervisor Janet Nguyen who was also announced as the other winner of the award previously). Baugh gives speaks about Tait’s mayoralty. Tait thanks the Central Committee for the award. (7:41 PM): Chairman Scott Baugh brings up early endorsement consideration for District Attorney Tony Rackauckas. Alexandria Coronado asks a procedural question, to which Baugh responds. (7:42 PM): TJ Fuentes moves and Mark Bucher seconds the Rackauckas endorsement. He is endorsed unanimously. (7:43 PM): Robert Hammond moves and Charlotte Christiana seconds the endorsement of Treasurer-Tax Collector Shari Freidenrich. She is endorsed unanimously. (7:45 PM): Michelle Steel moves and Tim Whitacre seconds the endorsement of Diane Harkey for Board of Equalization. Deborah Pauly offers a substitute motion, and Allan Mansoor seconds, to table until the close of filing since there is no incumbent, and more Republicans might jump in. (7:47 PM): Baugh rules both motions out of order after determining that candidates need to speak before either motion can be made. (7:49 PM): Baugh says three BOE candidates were notified: Assemblywoman Diane Harkey, Senator Mark Wyland, and former Assemblyman Van Tran. Harkey and Wyland are here, but Tran is not. (7:50 PM): Harkey opens by describing the BOE’s function. She speaks about her private sector career dealing with corporations and taxation. She speaks about the importance of limiting the field, so that campaign funds can be focused instead of divided. Harkey says it’s critical to get the third vote on actions on the BOE. She speaks about her successful efforts to gain Democrats’ votes to kill legislation. She speaks about how the Legislative Analyst’s Office credited Harkey with getting more oversight against cap and trade. Harkey says she could have walked into Supervisor or Senate, but BOE is the job she wants. She says both she and Wyland are also asking for San Diego GOP Central Committee’s endorsement. (7:53 PM): Wyland thanks the Central Committee for its work. He talks about how he owned his own 100-200 employee business and how he had to deal with the BOE dozens of times as a business owner. He says he knows how to reform the BOE. He says there were three efforts to unionize his employees, but he defeated those three efforts, so he knows how to fight unions. He notes his electoral background and how he’s given over $1,000,000 to help conservative campaigns. He speaks about how he gave $100,000 to Tony Strickland’s 2008 Senate race when Strickland defeated Democrat Hannah-Beth Jackson by less than one vote per precinct. Wyland urges the Central Committee to delay an endorsement vote until after filing closes. (7:56 PM): Pat Shuff asks the two candidates what was their CRA score. Harkey says 100%. Wyland is unsure what his CRA score was, but got 100% from both Howard Jarvis Taxpayers Association and California Taxpayers Association. (7:59 PM): Mr. White asks why Wyland doesn’t want an endorsement made tonight. Baugh notes dual endorsing is unprecedented but possible. Wyland says he’s fine with a dual endorsement. He says he’s only requesting the San Diego GOP Central Committee endorsement purely as a defensive major since Harkey’s asked for the Central Committee endorsement. He says he wishes Central Committees would avoid pre-primary endorsements when there’s multiple Republicans. 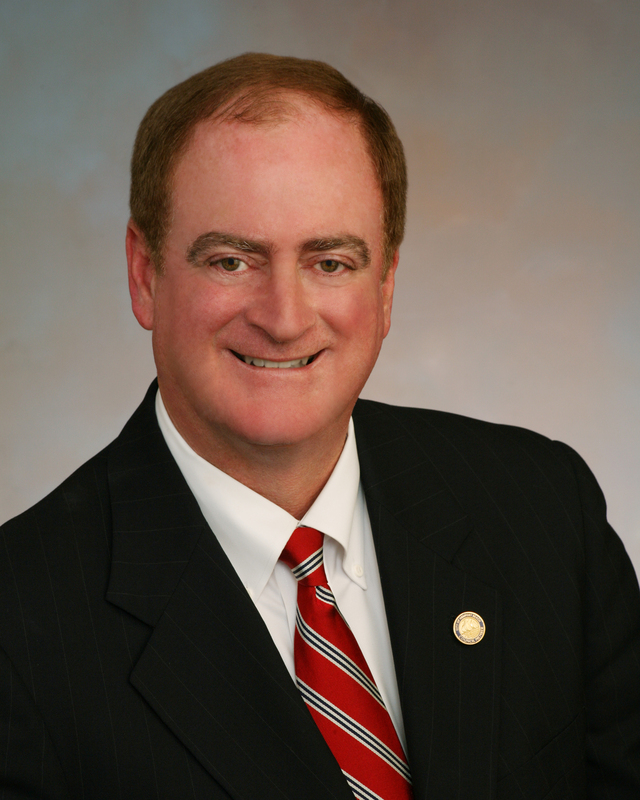 Harkey says Central Committees should endorse and frequently do. She says Prop 14 has made this more important. She says AD-65 and SD-34 need money, so endorsements can help stop the spillage of money in intraparty primary matters. (8:03 PM): Desare’ Ferraro asks if a Democrat has filed for BOE and if the seat is in danger. Harkey says one Democrat has filed, but it’s a Republican seat, though she notes Democrats are gaining. (8:04 PM): Jeff Matthews asks the two candidates if they’re Republicans in good standing. Harkey says she’s highly rated by a slew of conservative organizations and the importance of helping candidates both with manpower and money. Wyland says their vote records are probably quite similar. He again urges Central Committee neutrality and letting the electorate decide. He again notes he’s given financial support to candidates. He speaks of party unity. (8:06 PM): Steve Nagel asks if either has taken union money. Both admit taking union money for their legislative races. (8:07 PM): Kermit Marsh asks what other counties the two have requested. Harkey says she has requested them in every county in the BOE 4th District. Wyland says he has not done so. (8:08 PM): Robert Hammond asks how each voted on an Assembly bill funding Common Core. Harkey says she didn’t vote for it. Wyland notes he served on his school board and is proposing legislation to restrict state funding of Common Core. He says he didn’t vote for the bill that Hammond is asking about. 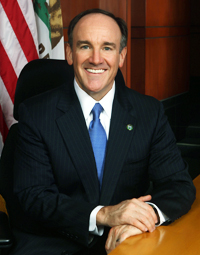 (8:10 PM): Mike Munzing talks about his own efforts to fight AB 32 and SB 375 at SCAG and on the City Council. He asks Wyland about his $1500 contribution to Al Gore in the 1980s. Wyland admits he once was a Democrat but became a Republican long ago. He again notes his $1,000,000 for Republicans. He speaks about his votes against AB 32 and “all” other regulatory bills. Wyland notes Gore was more conservative in 1988 and bragging about being a tobacco farmer. (8:13 PM): Mark Bucher asks if Diane Harkey’s exception for public safety unions on her no-union pledge (required on the Central Committee endorsement form) applies to the past or prospectively. Harkey says she’s still taking public safety union money. She says public safety is 80% Republican. She says Republicans need to reach out to them. She says public safety is important to Republicans. She says she agrees with the no-union pledge for local office but opposes it for state office. (8:17 PM): Tim Whitacre asks if Wyland voted to increase property taxes in 2012 and if he walked out on certain bills, like naming a ship after Harvey Milk and illegal immigration restrictions, to avoid voting for them. Wyland notes they vote on 2,000-3,000 bills. He doesn’t remember them all, but doubts he voted for that one in 2012. Wyland says he abhors naming a ship after Harvey Milk but it’s possible he may have missed the vote. Wyland says the Assembly allows its members to add their votes after missing them, but the Senate does not allow such a thing. Wyland says he has introduced more legislation on illegal immigration than any other legislator, including requiring proof of citizenship to register to vote and redirecting DREAM Act funding to veterans. (8:21 PM): Baugh states that no further questions can be asked directly of the candidates due to the Central Committee’s time limit rules. (8:22 PM): Tim Whitacre moves and Mary Young seconds the endorsement of Diane Harkey. (8:23 PM): David Shawver says candidates should have formed committees months ago. (8:24 PM): Assemblyman Allan Mansoor urges no early endorsement because a lot of questions still need to be responded to. He notes he’s worked with both Harkey and Wyland in the Legislature. He says he’s endorsed Harkey. Mansoor says there are multiple Republicans in good standing running for a Republican seat. He says endorsements should only be made if a RINO is running or if there’s risk of a Democrat winning. (8:25 PM): Tim Whitacre says the Central Committee usually endorses when he wants neutrality. He says he is not being paid by anyone for BOE. He says Harkey is more conservative than Wyland. Whitacre says Harkey’s an OC resident, unlike Wyland. Whitacre notes Harkey is a lifelong Republican. Whitacre believes San Diego GOP Central Committee will probably endorse Wyland. Whitacre says Harkey’s the best qualified. (8:28 PM): Mark Bucher says neither should be endorsed. He is very concerned that both have taken union money. Bucher says money is taken from members coercively and spent against their beliefs. Bucher says union money is corrupting. Bucher points to what public safety unions have tried to do to Jim Righeimer in Costa Mesa. Bucher says the OCGOP should not abandon the no-union pledge by endorsing one of them. (8:30 PM): Tony Beall urges the Central Committee to take a leadership role to influence the electorate. Beall says he’s been Mayor of Rancho Santa Margarita, which is represented by both Harkey and Wyland. He says Harkey is regularly in his city, and he’s never met Wyland. Beall acknowledges that Wyland has assisted California campaigns but not OC campaigns. He says Harkey has helped OC campaigns. (8:33 PM): Deborah Pauly says this is not about Harkey or Wyland: it’s about process. (She does note Wyland has spent 20 years dealing with the BOE as a businessman.) Pauly says the grassroots is sick of the party jamming decisions down the voters’ throats. Pauly points out that this is a five-county race; if different counties endorse differently, it could be used by the Democrats against whichever Republican advances to November. She says she originally supported waiting until after filing closes, but after listening to the debate, she thinks the Central Committee should wait until the voters have decided in the Primary Election. (8:37 PM): Robert Hammond asks if the Central Committee is allowed to endorse candidates who violated the no-union pledge. Baugh says it would violate a 2010 resolution but not the bylaws. (8:39 PM): The voice vote is unclear. Baugh calls for a standing vote. It requires 2/3 of those present and voting to endorse (i.e. abstentions simply lower the vote threshold required to endorse). (8:41 PM): The vote count is underway. (8:42 PM): The vote is 35 for Harkey (32 were need to endorse). This is the third time I’ve written about the Irvine Council vote on the FivePoint proposal to develop the Great Park. The Great Park is a major issue for this Orange County, considering its pivotal role in putting an end to the battle over the El Toro Airport that tour the County apart in the 1990s and early 2000s. Additionally, after the gains Republicans had after the 2012 election, I feel this is still a critically important issue, which is why I’ve written three times on it before Tuesday’s meeting. Until the 2012 election, Republicans had not had a majority on the Irvine City Council since 2000. The reason Republicans won is Republicans ran promising to develop the Great Park. Let me also address another issue. I’ve heard a lot of rumors about me and Jeff Lalloway. I will be crystal clear: Jeff has been a complete gentleman to me on this issue. Our conversations on this topic have been absolutely cordial. Any rumors that I have been threatened or intimidated by Jeff or anyone on this topic are patently false. No one has been anything but professional to me on this topic. One of the most impressive things about this proposal is that FivePoint is willing to give up 1,000,000 square feet of commercial space to build additional 4,600 homes. Reducing the commercial space ensures that there is no increase in traffic from the additional homes. Additionally, FivePoint proposes to develop most of the Great Park. This proposal is an incredible deal for Irvine, and really a great deal for Orange County as a whole. We will finally have the Great Park that the voters expected when Orange County residents voted to end the El Toro Airport in 2002. I am excited to be able to vote in favor of this project. I look forward to casting that vote. Areas requiring more analysis include such critical components as the design features, construction progress, and potential city liabilities. Separately, there are significant policy issues concerning public access to the park, as well as operating and maintaining the park amenities. I don’t agree with Jeff renegotiating terms with FivePoint from the dais because the city staff had not had adequate time to vet the issues; he should have just let staff get their questions answered instead. However, it’s clear from this op-ed that Jeff made the motion to delay two weeks, so that vote would allow staff to finish the last 10% of the agreement. I think this amount of time should have been enough time to allow staff a chance to iron out the final 10%, and Jeff’s op-ed makes it clear he made the motion to allow them to do so. Along with many other people in Orange County, I am looking forward to this issue being resolved promptly, and I hope that I will get the chance to write an article Tuesday evening that details the final result.